Had one for about 6 years. its got broken as i wasn't able to store it well. i replaced it, and now leave it in the box (clear plastic off the shelf) lately, i've seen the kits but they hold the gas and become another set to carry (as they have several gas bottles, some with grips). I would like to see a purpose made hard case holder. Extremely reliable torch at all angles of use including inverted. The ignition system is brilliant and always lights 1st time every time. The trigger lock is a useful feature too. My only criticism of this product is that it always rattles as if it’s loose, but in my 6 years of ownership it’s always been the same, it is just a quirk of the model. 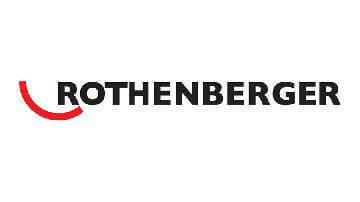 Rothenburger the best on the market. I’ve tried many others and they never last, always go back to this blow torch. Now had for well over a year and still going strong. Had mine for 4 years now, by far the best and robust blow torch I've ever had. Exchangeable tips available along with other accessories. It’s without question the best blow torch money can buy. Using mine for over 7 years and still going strong. Great control of heat. Highly recommended. The only blow lamp to have. Tried other brands but not as durable and long lasting as these. Some great offers around for these if willing to shop around. Onto my second one in 4 years. Added the pencil flame for a better control of the flame. Have used a couple of others but think this is the best one out there. Very much worth the money. Easy to use, good solid construction and a good flame. Would not use any other. Best blow torch on the market cost abit but you get what you pay for I have two one for mapp and one for propane only had a piezo ignition fail on the propane one due to high usage other wise faultless. Brilliant hand held blow torch. Was given my first one from brother in law because it wasn't working and he couldn't be bothered to fix it. All it needed was stripping down and cleaning and the ignition cable seating correctly. Hasn't let me down yet and it's just stuck in a box in the van. Best blow lamp I have used. I’ve tried others but they haven’t lasted as long as my superiors has. You can buy spares if required but - mines 8 years old and still going strong! Been using the same one for 6 years. It hasn't let me down and does the job well. I would only use the Super Fire 2 compared to other blow torches. Best torch around, Bought my second one the other day (on offer at plumbs with a bottle of map too) think the torch worked out to be about £40 + vat. My old one had the fine brazing torch end which was pretty good too. I’m on my 2nd one of these torches in 10 year and they are superior build quality to competitors. My only issue was the loss of spark within a few months of getting my latest. Should have requested it to be fixed but I couldn’t be bothered with hassle. Lighter does the job anyways! Would still recommend highly. The best torch there is! 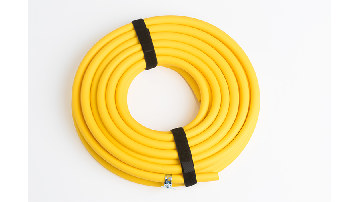 Combine it with MAP Gas and it wipes the floor with the competition, easy to use and great quality! Great torch lights and hold every time. Bonus as there are spares available to keep it going forever. The best head I used for brazing, I tried a few others and can’t beat the flame adjustment and build of this version. First one I Owened last 5 years before I needed to repair it. Can't go wrong with this. Bulletproof no messing unit that you can repair easily with a service kit . Don't use mine a lot but glad I paid the extra for this one. Easy to control the flame and never had a problem with the torch. I've only ever used with mapp gas. Great blow torch. Does the job, works well outside when used with MAPP gas. Just don't knock it over as it loosens the little feed tube. Bought mine 5 years ago and still works perfectly, never had any problems and still ignites as it should, wouldn’t even consider buying any other make or model when this does eventually pack in. Always used these blow torches for the last 12 years. Never had a fault with any of them. Would highly recommend. All mine have had heavy use and I've only had 3 in that time. Great build quality and performs very well, the only real niggle is the price, which I feel is a little expensive. Always used the super fire 2 and can't see me ever changing. Really good torch and lasts. Easily maintained. Best of the best. Excellent, stable flame picture at all angles, even upside down or when the cylinder is almost empty. 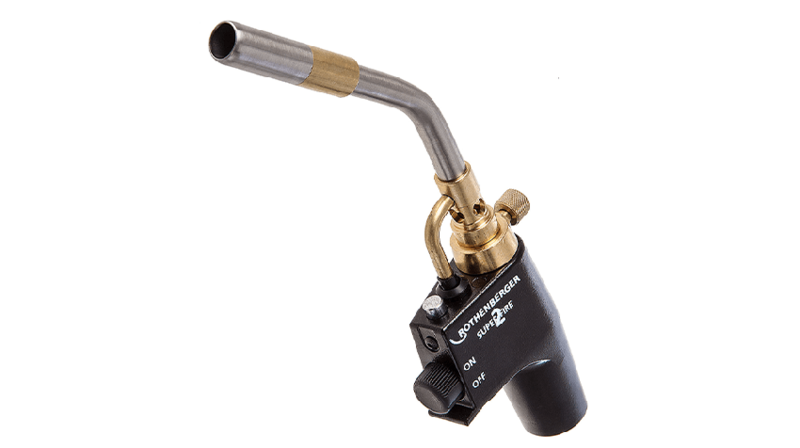 Easy to control the flame size for exceptional soldering every time. Best torch head I've used. Had the reg super fire originally but after a while wanted to change to the super fire 2 so the flame could be adjusted down for tight areas. Has made a massive difference to everyday use. The only head I've used to date so can't compare with others but can't see me changing to any others in the future, service kits available which is a plus. Best torch on the market in my opinion. Easy to strip down and clean if needed. Also spares readily available over the counter. Had mine years so really has proved value for money. No point in trying others as I have seen people do it and always come back to the super fire. Had mine years and still going strong. No explosive removals or leaks.. Brilliant touch my only choice of touch. The quality is second to none. I have never had a problem with these. Best torch out there by far. Wouldn't contemplate using anything else. Strong durable and great value for money. The flame adjustment makes it even better. Had my superfre 2 since I started out 2 years ago never had an issue with them. Easy to use and very precise. Expensive but such a good torch. Never let's me down even when covered in flux from falling out of the solder box. Buy a new one every year. On my second one 1st lasted about a year before the thread wore off through taking bottles on and off had the second one for about 3 years now and hasnt suffered like the 1st one did. Easy to use and get a good controlled flame with. Easily the best lamp Iv owned. I'm on my 2nd in 20 years and it does a lot of work. They also seem to preserve the gas bottles long over the same usage than other brands. Well built torch and very easy to use. Lots of accessories available for this torch. Easy to maintain and service. Lasts for years. These things last for years, I've been in the trade over 20 years, I think I'm on my 3rd one, that says it all really, I would always recommend these to all new starters. I have used a few torches now and so far this is by far the best so thinking I'll be sticking to this one, the search for a decent torch ends here guys! Good bit of kit, the turbine flame which comes with it is good for larger pipe but would also recommend purchasing the Swirl burner for a more precise flame. One of the best Heads out! Had mine for a while now and still going just as strong! One of the best value for money out there. One of the best torches on the market. Had mine for over 9 years and never let me down. After being used for over 9 years it's priceless. Excellent bit of kit had mine for 5 years now and still works fine, it's easy to use and not too pricey compares to other models and if mine did break I would buy another. Top quality torch. Well made with good features such a controllable flame and on-off lock. Does everything you ask of it. Would I buy any other lamp? No. The best on the market i have tried others but would never go back. Enough said! Have used from the word go. It has never let me down and of course it is a Rothenberger, a good pedigree behind it. I've had my 2 torches for years.Never failed me and do exactly what they are supposed to do every time. Love it. I use it with a swirl tip. Good quality, easy to use. Allen key bolt keeps coming undone so i have to make sure to tighten it up periodically. Best blowtorch I have ever had. If I had to replace one the future I would buy another one without question. Old Faithfull! Went back to this after having 2 failed nerrad torches, the flame is a bit bug for my liking but gives a good joint if kept on a low heat. Give it a spray with wd40 every now and then to keep its buttons from sticking and it will last for donkeys! Had used an inferior torch for ages and thought that these were trading on the name and wouldn't be worth the money, after braking my old one and finding one of these on offer, I can't believe I've gone so long without one. It has sped up my soldering by 40-50%. Best blowtorch on the market Rothenberger tools are know for good quality and this doesn't disappoint. Only used mine a couple of times but easy to use gets the job done easy to control the flame. Best blow tourch ive ever had. Good quality and long lasting. I have used these since my apprenticeship but was given a Primus torch when I worked at British Gas. These torches win hands down! I did replace my torch about two months ago and thought they were quite expensive so I bought a cheaper replica from eBay and it's identical. This Replica was less than half the price. Just the best available. Have three now with different set ups. All spares available easy to service. I've had about three Rothenberger torches, which i used on a primus 2000 with a expensive adptor. I've just recently changed to a different brand, mainly because theirs are slightly different and are cheaper. But always been happy with the Roth. Best torch available. Only down side is the grub screw holding nozzle in works loose. Other than that a great bit of kit. Copied by many but never rivalled. As said you can strip them down and clean plus spare injectors, nozzles available. I give mine a spray and wipe down of wd40 after each use and it's been much more reliable since doing so. Iv never had mine 'serviced' but I do strip it down and de-gease and de-flux, also you can buy spares like injections and nozzles over the counter so you never really have to let it get in bad condition.